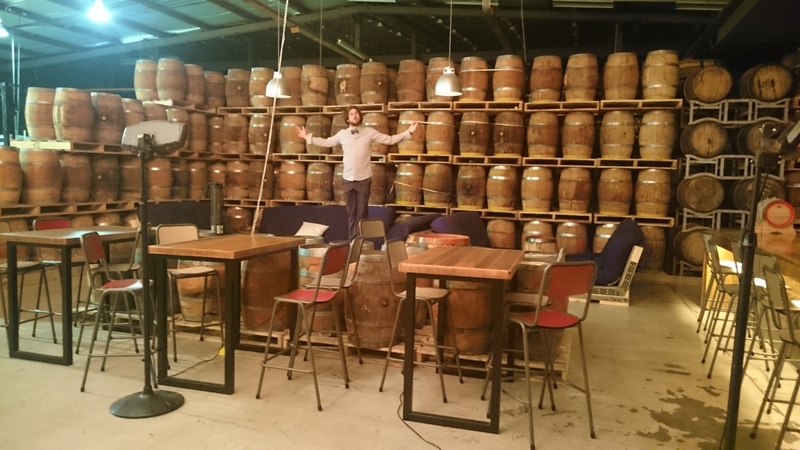 Behold, the New World of whisky! The New World Distillery is a whisky-making establishment like no other. 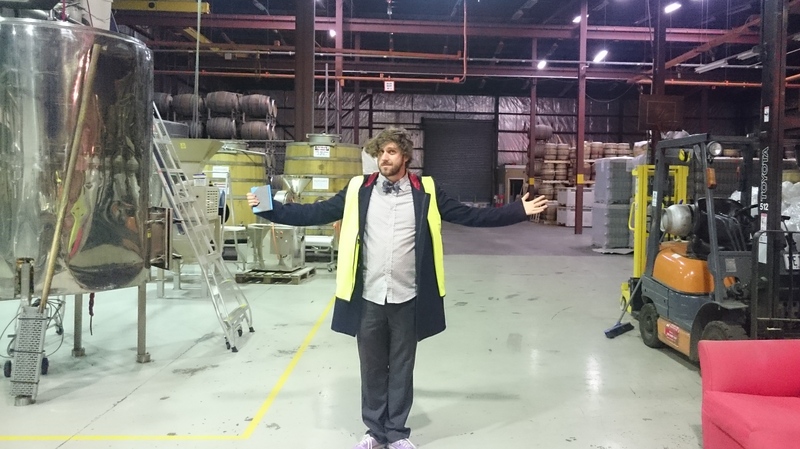 Equal parts industrial warehouse, hipster bar and mad scientist’s laboratory, stepping through the door I felt like I had slipped down my very own rabbit hole into whisky-wonderland. 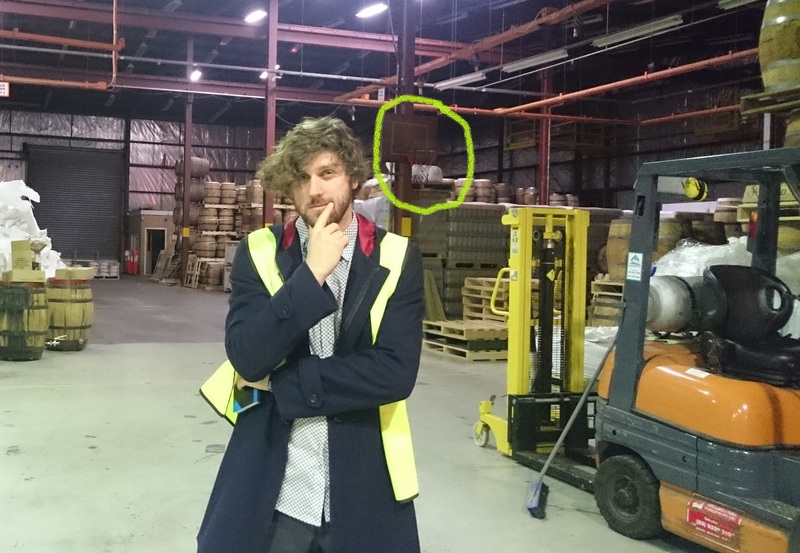 Located in Melbourne’s north, the distillery is just a stone’s throw away from the bustling international airport. This is appropriate as the building is a vast refurbished aircraft hangar. The huge room is separated into partitions by rows of whisky barrels – a particularly novel bond store! 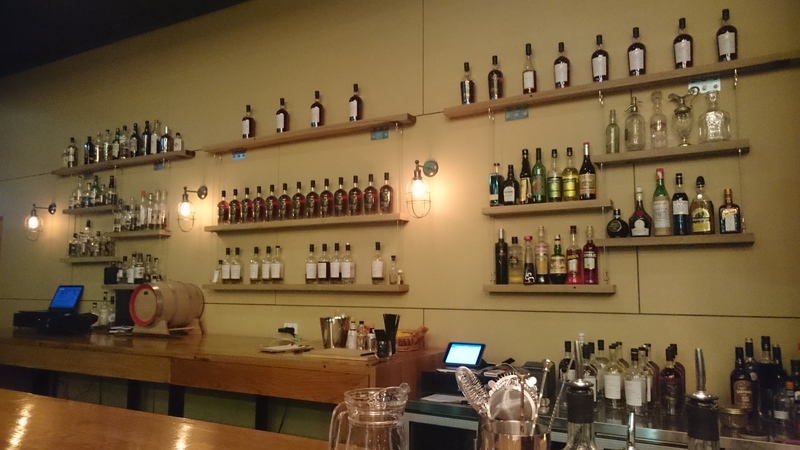 In one corner of the room is a classy-looking bar with shelves bearing a massive range of the whiskies made on site – each with a premise more curious than the last. It was clearly going to be a good evening. Is that a pumpkin spiced gin amongst that lot? Before settling in at the bar for an extended tasting session, there was the small matter of the tour. My guide on this adventure around the immense room was Paul, a man who I discovered was no stranger to a bit of whisky waffling. While the whisky production at his distillery was covered in detail, we also got sidetracked with conversations about peat, barley farming, excise tax and wood-smoked barley. New World Distillery has been operating since 2010, releasing their main product under the label Starward. 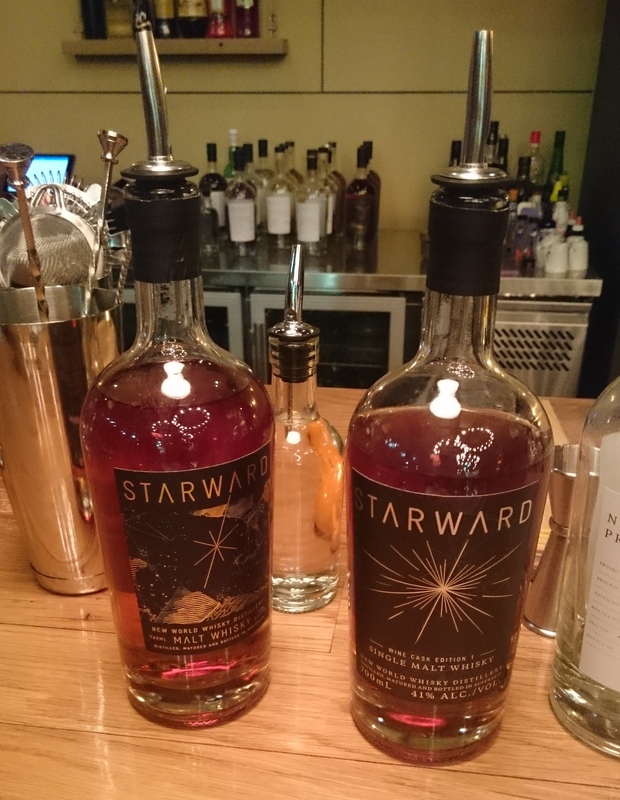 While Starward was originally exclusively Apera matured spirit, they have recently released a second variety aged in ex-Barossa Valley Shiraz casks. These aren’t the only bottles being created here however. The people at New World enjoy pushing boundaries; if not breaking the rules, certainly bending them a little. The most successful of these are released as a special range known as ‘New World Projects’ and well worth checking out. The tour is engaging and informative: in particular Paul’s analogies likening making wort to brewing a cup of tea and charring barrels to burning sugar, explaining these obscure concepts effectively. I also got a generous swig of the new make spirit which I found light and fruity without losing its typical high-alcohol warmth. All in all it was one of the more (dangerously) easy-drinking new makes I’ve tried. New World also came across as one of the hardest working distilleries going around. With a staff of only five on the floor and three behind the scenes (and Dan), they still manage to conduct three distillations a day. This is achieved by long shifts, late finishes and shared responsibilities, as well as a basketball hoop to keep the staff sane. This hard working approach is one of the biggest factors in ensuring their product is one of the most affordable Australian whiskies going around. Starward score a three pointer! After the tour I took a seat at the bar near a toasty gas heater and sampled the products I had just learned about. First was a comparison between the two Starward bottlings: the Apera cask and the wine cask varieties. While the Apera matured whisky was syrupy and raisiny, the Shiraz aged drop was more savoury with oaky tannins. I still confess to preferring the original Starward release, but my friends who accompanied me on my visit unanimously favoured the wine cask. From here I moved onto the bar’s extensive range of New World Projects bottles. These ranged from the sublime – two magnificent port matured whiskies – to the ridiculous – a perfectly clear three year old whisky with all the coloured components of the drop removed. There was also a wonderful 56.3% ‘doublewood’ bottle which had been matured in both the wine and Apera barrels, and a Heartwood-esque whisky with an alcohol percentage in the sixties known as the ‘Smoke and Mirrors’. One day all this will be mine… if I save up enough money to buy every barrel. I left the giant hangar at the end of the night inspired by the products made in my home country. I was once again amazed by the vast contrast in flavours that can be created within a drink which only contains three ingredients. 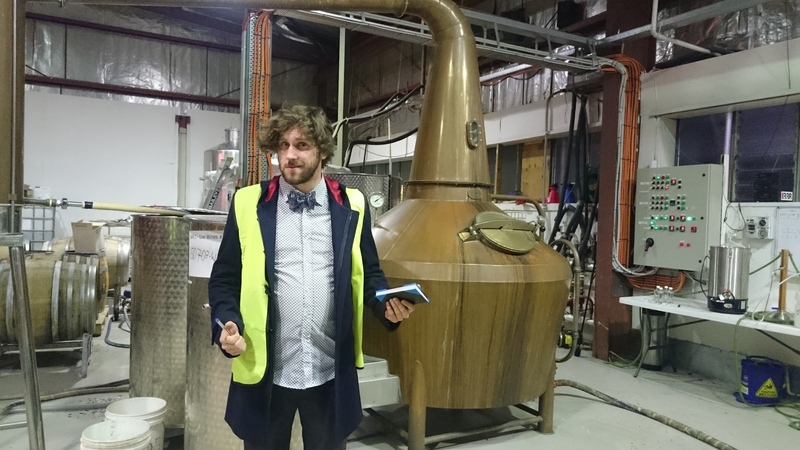 There are some great things happening in the Australian whisky industry and the guys at New World Distillery are right at the forefront. The New World Distillery is open for tastings and tours at their site at Essendon Fields on Fridays from 6pm and on Saturdays between 2pm and 6pm. ENVY!!!! One of these years I’ve gotta go get going to Australia for some serious whisky sampling adventures!!! You completely do! It’s only a little bit out of the way… Totally worth it, of course! Absolutely love this stuff. Aberlour A’bunadh was my “go to” whiskey but since recently discovering Starward, I have pushed the Aberlour to the side. Great whiskey, great price & Australian!!!!! Ticks all the boxes, doesn’t it! Thanks for the comment BTW! I agree the Starward is such a good regular go-to option! Affordable, tasty and Australian! Long may it continue! The Shiraz cask sounds really interesting. “amazed by the vast contrast in flavours that can be created within a drink which only contains three ingredients” <– Yeah, that! It was really different! I found it more complex, certainly less easy drinking… Maybe one I would come to love with time. Whereas the apera (sherry) had me at hello.